Thanks to Lenny Goh, Director of Business Development for Tradable Bits based in Canada for doing an awesome job in answering all the questions. Here's the highlight question from the Sports Geek Nation AMA with Lenny Goh. Lenny Goh is the Director of Business Development for Tradable Bits based in Canada. 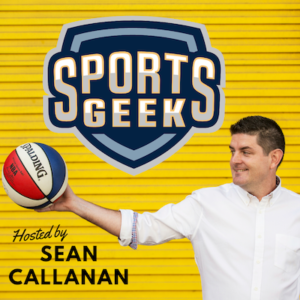 He is certainly not a stranger to Sports Geek fans having been in several episodes of the podcast, attending sports conferences with Sean and working together in Sports Geek Campaigns. Lenny’s internship at the Vancouver Canucks for the 2011 Stanley Cup Playoffs started his colorful sports career journey that led him to working with different organisations managing their digital and social media. 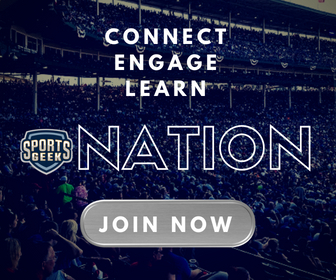 At present, he is the “hypeman” leading the business development for Tradable Bits a platform that helps sports and entertainment brands know their fans and market smarter through their all-inclusive solution for sponsorship activations, social aggregation and ecommerce-integrated Fan CRM system. Hi Johannes, I think this is very dependant on the team’s strategy. I would take a step back and say always think twice about what you send to your fan and in what context it is being sent in. Does the offer or message provide any value to the fan. If so, than proceed to step 2. Which fans will actually find this offer useful. It’s important to define your audience in context first, so you can deliver the right message with the right creative and tone that’s useful for the fan. Hyper-targeted messaging will always work better rather than a wide spread blast. So, if you know which fan entered a sponsored sweepstakes (let’s say by KIA for example) and are able to understand WHO of those fans also have tickets for the upcoming game, it will be valuable for the fan to receive a message to say “come early to the game, in partnership with KIA we are giving away limited amount of special toques at select gates today”. That will be powerful and of value to that fan. A cool thing the Trail Blazers do is create a limited edition t-shirt that they sell at the team store. If you have bluetooth on and have the app, when you’re in the arena you will get a notification as you walk by to tell you about the limited edition merch and to come check out the design. Sophistication behind how you track redemptions to offers will also matter in determining what type of offer and messaging works. We try to provide the ease of being able to segment these sets of audiences so you can choose HOW to communicate with them when a message has relevancy. Apps are a different animal, they can be a necessary evil for driving mobile ticketing etc. but it can be a big and expensive undertaking. I’m a fan of using mobile web or a chatbot to deliver a lightweight experience for the fan. I’m sure desktop websites will have visits, but I’d always recommend to design mobile first. Johannes Wohlert: Thanks Lenny, it did. It's super interesting, using it as an sponsor activation like in your example but also on a more integrated level as a part of building the relationship with fans. I guess how you segment the fans differs too. This seems to add the possibility to segment them according to their behavior instead of just demographics. lennygoh: Exactly. The behaviour element is key because it’s contextual. If we know things that spark fan passion like your fav player not only can we deliver messages tied to merch but it feeds intelligence on the type of content to create for fans in the future. Perhaps a day in the life video etc. Can you give everyone a quick history lesson about Tradable Bits and how the platform has evolved over the past few years? What broad areas do you see opening up in the sports business that could grow rapidly (i.e. along with VR and AI)? 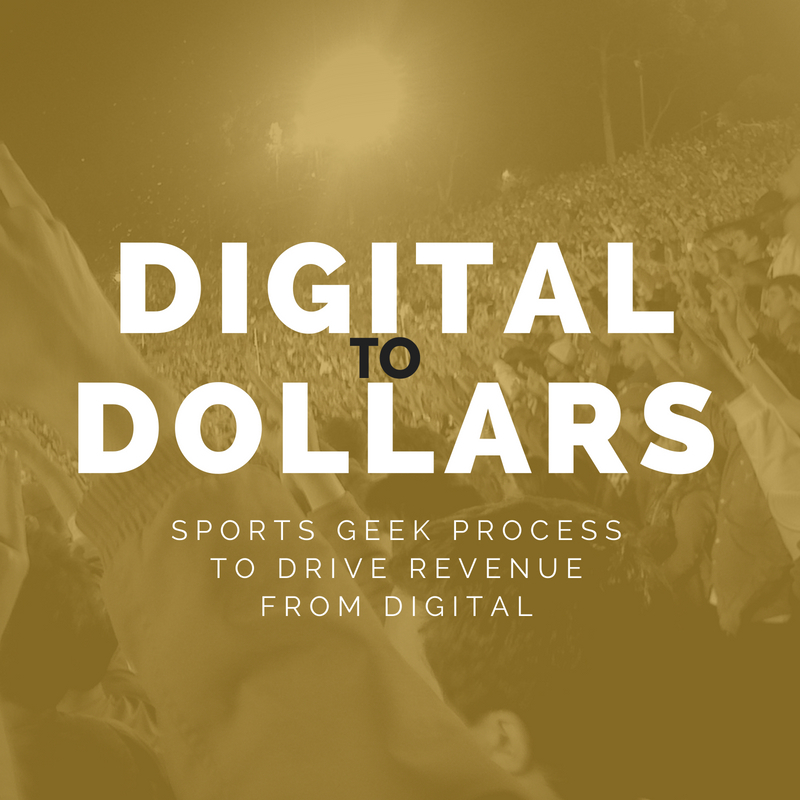 What ‘niche problems’ do you think sports organizations are still facing or how can this be discovered – for entrepreneurs who wish to enter the arena? Can you give us the top three TB projects you like most and why?